Using the MyHarmony desktop software, you're able to change the name of your Harmony hub. 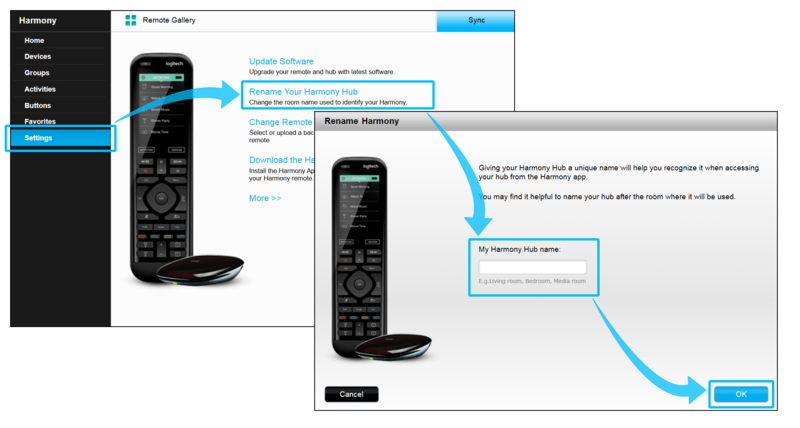 Using the MyHarmony desktop software, select your remote from the Remote Gallery and click the Settings tab on the left, select Rename Your Harmony Hub. A new window will pop up, allowing you to rename your hub, type in your desired hub name and click OK.